Slots Devil is an international online casino, owned by Tau Marketing Services. It is powered by Nektan and it offers a large variety of slots, but also other casino games, such as live dealer Roulette, Blackjack, Baccarat and more. The name can be deceiving, but there is nothing devilish about Slots Devil except for the design of the site. It is all about games – both casino games and slots, and that’s exactly what you’d expect from a high-quality site. The selection of games is typical for Nektan sites, so you can expect to find some of the top online slots from providers as IGT and NetEnt. At Slots Devil, you will get to claim daily bonuses and various other promotions. Your journey will start pretty soon, in fact, right after you register you can claim the Welcome Offer consisted of up to 100 free spins on Starburst and a $10 Welcome Bonus. 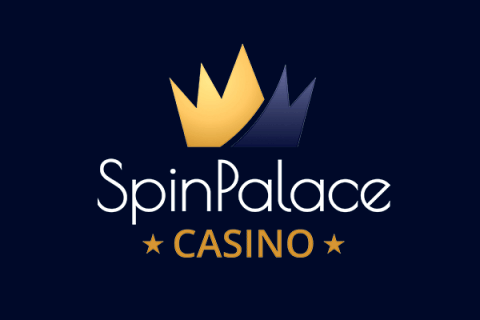 The Spins are awarded over the first four deposits. Use the promo code DEVIL and your initial $10 deposit will be matched, plus you will get 10 free spins. You may use the bonus code on your next three deposits and you will get 30 Spins each time. The game on which Spins are awarded may change. Slots Devil also runs an exciting reward scheme to loyal players that are entitled to VIP status levels. When a player becomes a VIP, Slots Devil’s team makes sure that they get nothing but the best gaming experience. VIP players at Slots Devil get their own personal account manager, exclusive promotions and reloads, special gifts, faster withdrawal times, higher deposit limits and VIP membership for life. To qualify as a VIP player, you need to have deposited a minimum of $2,000 or currency equivalent. There are four VIP levels at Slots Devil – Silver, Gold, Premier and Elite – and you will get a distinct set of benefits at each level. As stated in the section above, Slots Devil offers various gaming options to players with a great number of different games to choose from. With ‘slots’ being part of its name, it is quite clear that all games offered at Slots Devil are slots. Regardless of whether you select Player Favourites, New Games or All Games, the majority of games displayed on your screen will be slots. You can find anything from three-reel classic slot machines, through complex multi-reel video slots, all the way to jackpot slots. As mentioned previously, all titles come from renowned providers. Slots Devil belongs to a group of reliable live dealer online casinos. Just go to the Live Dealer section, you will see the two dozen exciting live dealer casino games. There are different variants of popular casino games like Roulette, Baccarat, Blackjack and Poker. If you are not that keen on playing against the live dealer and you’re more into standard software games, then you should head for the Casino Games section at Slots Devil. 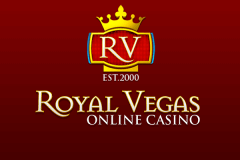 There, you can find an even larger selection of casino game variations to choose from. Slots Devil also hosts a decent selection of instant win games. When you visit the Instant Win section at Slots Devil, you can choose to play such games as scratch cards, and a lot more. As you can see, Slots Devil provides gaming options for all kinds of players. Slots Devil is completely and fully optimised for mobile play, so you could log in to your casino account, but it is also possible to register from your smartphone or tablet. All games that are available in desktop mode are also available on the mobile version of the site and the functionality is completely mobile-friendly which means that the what is displayed will be adjusted to the size of your screen. Like all other good online casino sites, Slots Devil provides the industry standard range of online wallets and bank transfer services. Banking options include Maestro, Skrill, MasterCard, Visa, PaySafe Card, NETeller, EntroPay and more. So if you’re into Paysafe gambling, this casino site will be a perfect choice. The full list is available in their Support section where the player can find out about withdrawal times and any applicable fees. Making deposits on Slots Devil is safe and simple. In the user panel, you will find the “Deposit” button which allows you to select the payment option that works best for you. Since Slots Devil belongs to a group of NZD online casino sites, Kiwi players can easily use this currency while making deposits and withdrawing their winnings. The Slots Devil support team is there for you if you need any help or support. They have live help which can be accessed through their Support page, located in the right upper corner of the page. In the bottom right corner there is a Live Chat button. So, if you need an answer promptly, feel free to start a chat with their helpful customer support team. And if you prefer another choice of communication, they’ve got you covered. There is a telephone line, as well as a support email address. No matter what you choose, they will help you out. Oh, and let’s not forget to tell you that you can also find an answer in the FAQ section. We should also mention that out of all available customer support options, the email is the only one that’s available all the time, for 24 hours. The telephone and Live Chat option are available from 08:00 to 00:00 GMT/BST. All in all, Slots Devil is a slots site that is definitely worth a visit. It offers a versatile high-quality selection of games caters to the needs of all kinds of slots players. All this combined with the simple design of the site and the ease of navigation make Slots Devil a site where you can have an excellent gaming experience. With a four-tier VIP loyalty scheme that keeps you as a VIP member for the lifetime of your account and a welcome package of 100 Slots Devil free spins and £10 bonus, it is more than certain that this is a great slots site. So, sign up today for your welcoming Slots Devil bonus package and have a great time spinning on your favourite slots!